KANEOHE, OAHU (HawaiiNewsNow) - Although evidence suggests partial recovery from last year's mass bleaching, state and federal authorities are investigating another threat in Kaneohe Bay that can rapidly kill coral colonies. 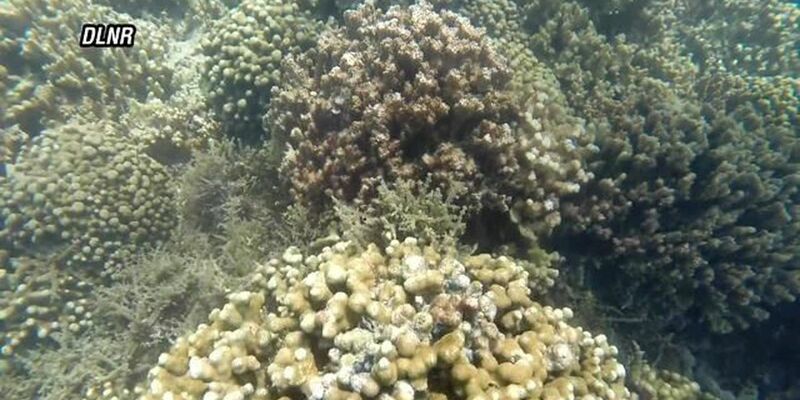 Over the past few weeks, researchers detected a tissue loss disease called acute Montipora White Syndrome on patch reefs in the bay, and said up to 90 percent of rice corals have been affected. Officials said the majority of these colonies will likely die. "With coral bleaching, there's a chance of recovery as the tissue isn't lost, but with this disease, it affects the tissue, so all there's left is the skeleton, so there's no chance of recovery," said Stacy Bierwagen, marine biologist specialist with the DLNR. The same disease was also found in Kaneohe Bay in 2010 and 2012, but there's no direct treatments or medicines to stop the disease. "Right now, it's looking like it's going to be worse than the corals in the 2012 outbreak because of the number of corals in the bay that have been impacted," said Fenny Cox of the Hawaii Institute of Marine Biology. Researchers will now be examining tissue samples to figure out what may have caused the infection.